Everyone charged by Special Counselor Heir Mueller has been charged with crimes committed after the election, or for behavior years before the election. Not one American has been charged with anything in regard to the Election/Collusion/Conspiracy etc etc…. However in a big show of trying to tie something to the election Mueller indicted a bunch of Russian disinformation agents (Trolls) that supposedly threw the election with tweets and $150 grand in advertising. Now these people are all in Russia and the odds of them turning themselves into American Custody or even fighting it was considered slim to none….. Except the Russians showed up in American court demanding the right to defend themselves. Concord Management, a company owned by a Russian oligarch known as President Vladimir Putin’s “chef,” is one of several Russian entities accused by the special counsel of helping to mastermind the social media meddling the 2016 election. So the Russians are now using information GIVEN to them by Heir Mueller as propaganda against him…… Life is the best comedy. Everyone charged by Special Counselor Heir Mueller has been charged with crimes committed after the election, or for behavior years before the election. No, Mueller has indicted 12 Russians for hacking the DNC email server in 2016 and leaking the hack to Putin-Wikileaks to help Trump win the election. Now these people are all in Russia and the odds of them turning themselves into American Custody or even fighting it was considered slim to none….. Except the Russians showed up in American court demanding the right to defend themselves. Is this the case? Have the accused Russians presented themselves before an American court as described? Not the ones indicted by Mueller, that’s for sure. So they didn’t show up in court….? Then why did they turn over papers for discovery…..? Oh I guess Wapo leftwing rag is lying again…..
as usual Peter you lack facts…..
There’s a court case where discovery was turned over to the accused russian company that controls the hackers…. what they mailed discovery to russia???????? He accused and they’ve showed up for their day in court and Mueller has been fighting American Law as to not provide operational intel and is crying that they’re using the non-secret info they got in Discovery…. but Peter says it’s a faery tale……. Patrick – from the photos of yourself that you’ve occasionally imposed upon the ATW community we’ve learned that you are hair-challenged. However is that an excuse for being Herr-challenged? Your insult to “Heir” Muller isn’t merely tasteless, it is mispelled. You need to spell check and fact check. No ……. when you send Men and Woman with armored vehicles and machine guns to arrest a 66yr old man who doesn’t even own a gun to drag him out of his house for lying to congress…. this is who he is. Heinrich Müller (28 April 1900; date of death unknown, but evidence points to May 1945) was a German police official under both the Weimar Republic and Nazi Germany. He became chief of the Gestapo, the political secret state police of Nazi Germany, and was involved in the planning and execution of the Holocaust. 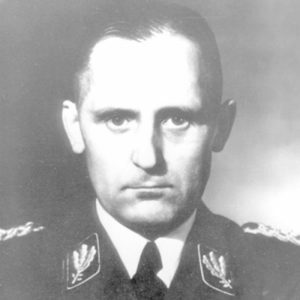 He was known as “Gestapo Müller” to distinguish him from another SS general also named Heinrich Müller. He was last seen in the Führerbunker in Berlin on 1 May 1945 and remains the most senior figure of the Nazi regime who was never captured or confirmed to have died. It was arrest and search of Stone. They carried out computers, phones and other records. It was early in the day as a surprise and well resourced to prevent destruction of evidence contained in the materials they removed from FL and NY. Stone may be a very unstable person and capable of violence. The operation was successful as far as we know. I would not shed a ear for Stone. It was excessive force and a gestapo tactic by an out of control prosecutor that even made sure the news crew were there to get it all on film. It’s an intimidation tactic that was totally out of line. When are they going to do the same thing to Hillary Clinton, Huma Weiner, and Cheryl Mills? All three committed the same exact crime and were never even charged let alone had their house raided even after admitting to destroying subpoenaed evidence. Equal Under the LAW. 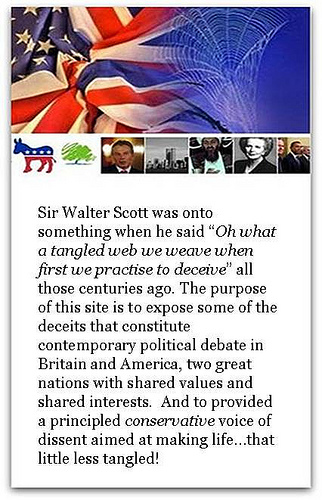 That used to be what made our country different…. until the age of Obama. Mueller is Heir to the best legal tradition in the US. The law shall take its course. Equal under the law is a Unicorn. It doesn’t and has never applied in the US, the U.K. or anywhere. Depending on who holds power certain individuals, classes, or groups have always had privileges and shields from the law. It is fantasy to imagine their has ever been a state where the law really applied equally to everyone. That’s only true really in places, like the US, where judges are appointed according to political affiliations. We’ve opened 3 criminal investigations of three different Presidents in my Lifetime how many of your nations have prosecuted your leaders? How many of them have needed to? Snowflake Stone and his snowflake apologists! 66 is no age these days, Trump is 72 and they will be arresting him soon.